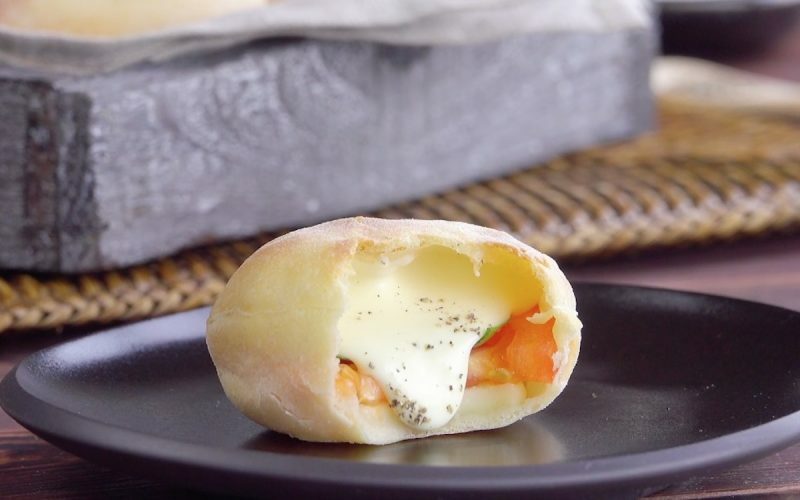 Calzones are the perfect snack for on the go, but an even better option is the mini calzone that will fit right into the palm of your hand. Even if you find yourself at the buffet table at your next party and are inclined to sneak multiple portions at once, they'll all still fit in one hand — this will come in quite handy in your efforts to pilfer as many as possible given how tasty they are. Here are 3 delicious recipes to get you started. 1. Preheat the oven to 350°F and then start on the pizza dough. Place all the ingredients in a bowl, knead together until smooth, and form into a ball. Cover the bowl and let sit in a warm place for 1 hour. 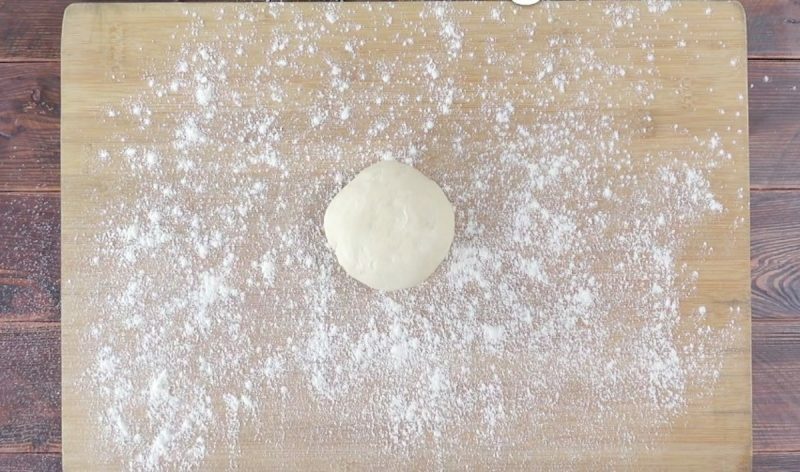 Repeat the process until you have 3 dough balls — 1 for each mini calzone recipe. 2. 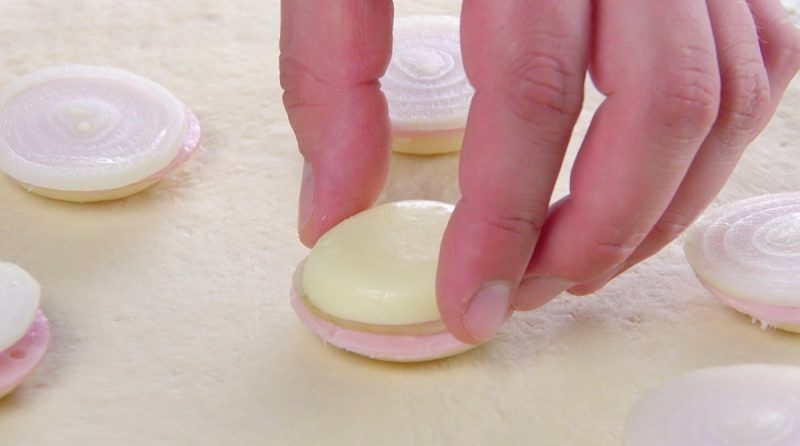 Cut the first dough ball in half and roll out one of the halves. Arrange 7 tomato slices on the dough and stack each one with a basil leaf and slice of mozzarella. Season everything with salt and pepper. Then roll out the other dough half and lay it on top. 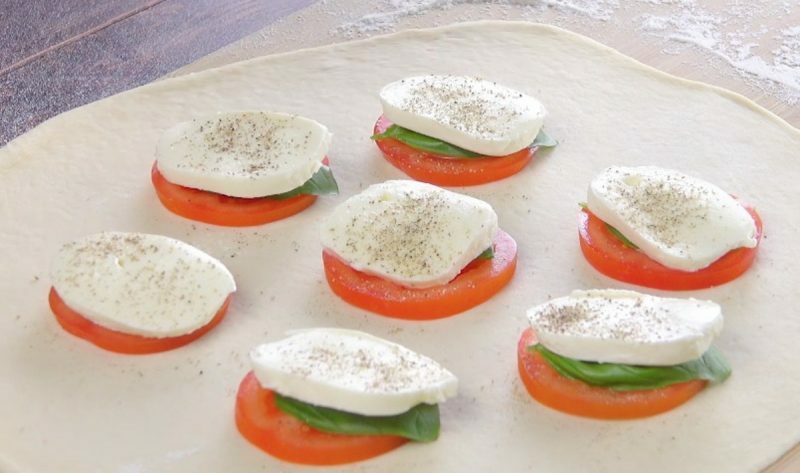 Use your fingers to gently press down the dough around the caprese mounds and use a wide glass or bowl to cut them out of the dough. Place the mini calzones on a sheet pan and bake for 12 minutes. 3. Cut 7 Mini Babybel cheese wheels in half, cut 7 similarly sized circles out of a slice of ham, and cut 7 small slices of onion. Using these ingredients, repeat Step #2 for the ham & cheese calzones. 4. Slice an apple and remove the core, as shown in the video. Using the apple rings, cream cheese, raisins, and cinnamon-sugar, repeat Step #2 for the apple pie calzones. What a great finger food! Small and handy in size, fun and easy to make, and absolutely mouthwatering. Buon appetito! You can find the recipe for the Pizza Buttons featured in the bonus video here.